If you've ever looked closely at a car's rear license plate in Japan, you may have noticed something funny about one of the screws holding it in. At first glance, it just looks bigger than the others. And with a really close look, you might notice that it's inscribed with a kanji corresponding to the prefecture or licensing region of the car's plates. 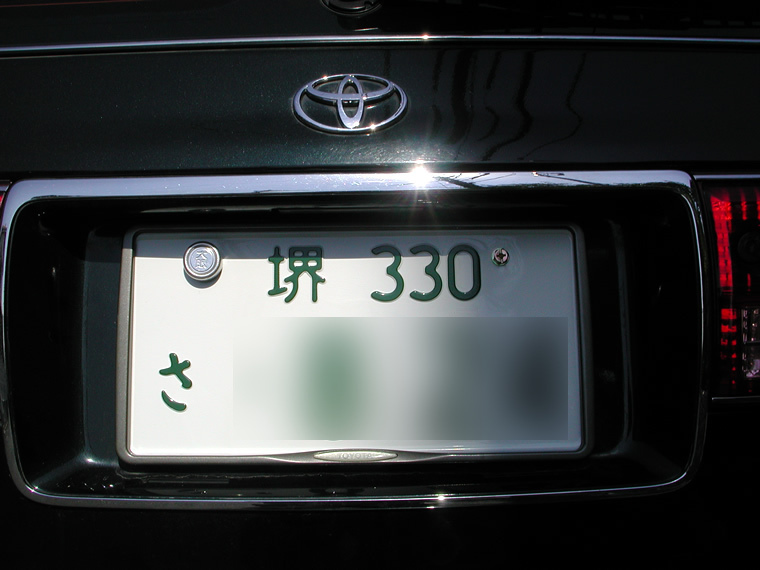 These seals, always fastened at the top-left of the rear license plate of full-sized vehicles* (普通自動車) registered in Japan, are anti-theft measures, and they're protected by law. Removing one without explicit permission (such as changing the plates on a car, having a car sent out of country, or having a car destroyed) is illegal. 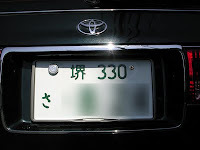 However, if you relocate to a different prefecture of Japan, it is your duty to have your plate changed at the appropriate office. The seals actually are just a thin metal covering for a normal screw inside. The "nest" for the seal acts like a giant washer, slipped around the screw before you screw it in. To remove one, it's as easy as puncturing the seal with a screwdriver or another sharp tool and prying the metal away until you can reach the screw easily with a driver. The satisfaction of jabbing the seal is almost worth the otherwise obnoxious rigmarole of a trip to a Japanese Land Transport Bureau--and maybe the cocktail party story you can share with some Japanese friends (who will nod their heads in approval if they've shared the jabbing experience). 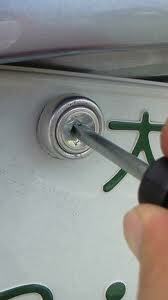 By the way, when screws for a new license plate are issued, the seal isn't handed to the owner of the vehicle. In standard procedure, your shakensho (vehicle registration document) is kept in custody of the Land Transport Bureau until you've screwed on the plates yourself. Then, they'll come and check your car, looking at vehicle identification numbers printed under the hood and on the body, and when they're finally satisfied that it's really the car identified in the shakensho, they'll pop the seal into place themselves.